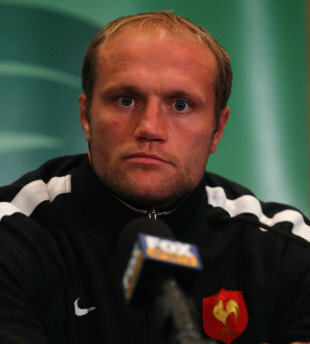 Flanker Julien Bonnaire concedes France only have a small chance of winning the Rugby World Cup - but he insists it is one they are ready to take. France face hosts New Zealand at Eden Park on Sunday with the All Blacks going into the final as overwhelming favourites. While the All Blacks' progression into the final has been relatively straightforward with strong wins over Argentina and Australia in the quarter and semi finals following finishing top of Pool A, France have struggled. Their World Cup has been blighted by rumours of division and they have been far from convincing in progressing to the final. But Bonnaire insists there is enough talent within the French team to be crowned world champions for the first time. "We are in New Zealand and they are playing at home and that is a bit of an advantage for them," Bonnaire said. "We know we are far from being favourites, given our level of the game at the moment. We have a small chance here and we need to take it. "They are all great players, and not just the back row, the team as a whole. They are tough in terms of impact and they have solid defence. They have it all and good for them. They'll be everywhere on the pitch and we have nothing to lose. "We will need a perfect match. We need to put them under pressure and we can't let them take control. We should not be afraid of winning. We have great qualities ourselves. We can't give up at all until the last minute."